After watching the Feesh rotation getting hammered or the boolpen collapse repeatedly over the past couple of weeks, leaving the Rainbow Warriors at 13-20, suspended above last place like Jonathan Edwards’ spider above the pit of Mictlan by only the slender thread of the Barves, I’ve repaired to my kitchen to prepare a family feast for Mother’s Day. I can’t control the plummet of the local franchise at the Joycean 32 feet per sec per sec. That will have to wait on Boosh and BeepBeep who can’t be too far away by now. I can, however, control my culinary destiny. Are you hungry yet? I thought so. Well, aside from the staple tomato and pepper sauces, somewhere along the line Mexico gave us (in addition to murderers, robbers and rapists, or so I have been led to believe) molé, a sauce made from money. Yes, money – which in Tenochtitlan, the Aztec capital (until Cortes got finished making it look like Chicago on a Reslugnican urban renewal budget) was an exchange of cocoa beans, the alternate wealth to slaves. Today you can enjoy this spicy chocolate stew with chicken or pork in any fine Mexican restaurant or perhaps garnish it with listeria at Chipotle Grill for a little extra frisson. Or you can try a variation created by your very own Old Gator of the Beloved Wooden Spoon: mocha molé, by adding Kahlua and coffee reduction to a time tested recipe for this classic dish. Ready? Toast the chiles in a dry pan over medium heat until warm and aromatic, about 3-5 minutes. Transfer to a blender with the chicken stock. Allow the chiles, bread tortillas to soak in the chicken stock for about five minutes. Blend the mixture until smooth. Cook tomatoes and tomatillos in a dry skillet on medium-high heat until soft and blackened, 3 to 4 minutes per side. Dump into the blender with the chilie puree. Melt bacon fat in a large pan over medium heat. Stir in onion, garlic, peanuts, cranberries, cumin, thyme, cinnamon, cloves, and allspice. Cook and stir until onions are soft and golden, 5 to 8 minutes. Remove add all of this to the blender with the chilie-tomato mixture and blend until smooth. Pour chilie mixture into a large saucepan over medium heat. Stir in chocolate, chicken broth, peanut butter (you can skip this if you have a guest who goes into toxic shock from peanuts), pomegranate arils, Kahlua, coffee reduction, sugar and salt. Bring to a simmer over medium heat; stir until chocolate is melted and sauce is thickened and slightly reduced, 10 to 15 minutes. Add the chicken breast fillets and continue to simmer until the chicken is cooked through, but do not overcook. Add a few tablespoons of chicken broth from time to time if mixture thickens too much (which means you’ve been using too high a flame). Serve over rice with refried beans and a salad of shredded iceberg lettuce, diced tomatoes, onions and finely diced garlic. You can now throw away the rest of your bucket list. I am watching the beginning of the Twins – White Sox AL Central titans matchup. The Twins have begun by tying the soon to become carcass of the White Sox starter to the back bumper of their pickup and have dragged him through an Aztec cactus patch, which leads me to the observation that cumin and cinnamon in the same flavor blend is counter intuitive at best. However, I suppose, that cannibalism requires a severe exercise of the culinary imagination. As I incompletely pointed out before, embrace the evil or thou shalt be reduced to a slobbering wretch by the dirty damn Gods. 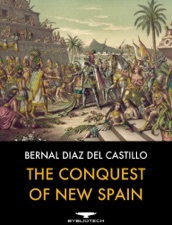 I should clarify that after studying the various Spanish accounts (Relaciones) of the conquest of Mexico, along with the Bernal Diaz book and William Prescott’s more widely researched extrapolation upon it (The Conquest of Mexico), all the references to cannibal cuisine mention tomatoes and peppers. None indicate that chocolate sauce was used for stewing us. I guess some might find that comforting. Herman Melville was a fag, oh wait I’m one too, dirty damn Gods. There’s nothing else to do…. That he really didn’t like his wife had less to do with his sexuality than with her attitude, though. Indeed, but realize that poetry is not biology.